Miss Leonidas posted the most important win of her career in taking out the Bel Esprit Stakes. Sent out a $19 chance in Saturday’s Listed Bel Esprit Stakes (1100m), four-year-old Miss Leonidas showed her natural speed early to cross and lead from barrier nine in the field of 12 and was never headed from there. Miss Leonidas defeated I Am Someone ($17) by three quarters of a length with odds-on favourite Eduardo ($1.95) the same margin away third. “I was so confident without being over the top,” Dwyer said. “I thought if she had drawn one, two, three or four she was a moral. But gee she is good. “I think that’s the way to ride her. She’s just got speed that puts the others off the bit and then she just keeps finding. “It didn’t work out how we talked about pre-race, but it worked out. “I thought the favourite would lead and Desert Lashes would come across and just give us cover. Miss Leonidas’ victory was her fourth from 11 starts and her most important yet given it was a black-type race. The mare has been a challenge for Dwyer who says he has been training her like a stayer, rather than doing speed work on the training track, in a bid to get her to relax. Jockey Joe Bowditch said it was a terrific win from a mare who is difficult to ride. “She gets her head up, gets on the wrong leg, gets the speed wobbles around the corner, but at that sort of distance she is very effective,” Bowditch said. 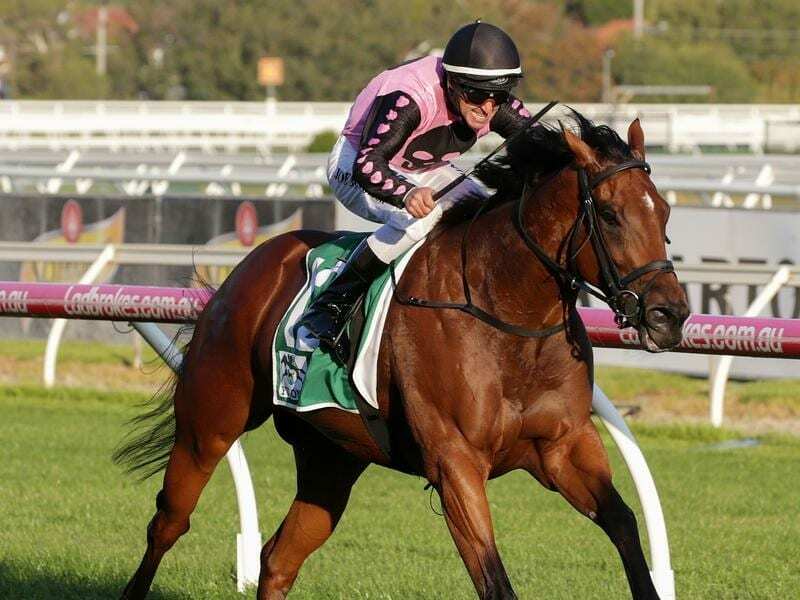 The Bel Esprit Stakes was one of two Listed races on Saturday’s program with South Australian Derby-bound Secret Blaze, trained by Tony McEvoy, taking out the Galilee Series Final (2425m) for three-year-olds.